Rediscovering Edsel Ford’s Haven Hill is Now Streaming on Amazon! 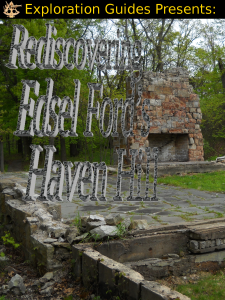 Our first feature-length film, “Rediscovering Edsel Ford’s Haven Hill,” is now available to stream live on Amazon.com. It’s currently free for Amazon Prime members, or $2.99 to rent or $9.99 to buy. Exploration Guides visited the Miami & Erie Canal a week or so ago to try out the new camera. Originally over 300 miles long, there’s only a few pieces left, including a handful of locks in Sidecut Metropark, just south of Toledo. Be sure to visit our facebook page at http://facebook.com/ExplorationGuides to see not only updates from Exploration Guides, but lots more information about nature and exploration from around the world. Anyone who knows me knows that I’m not a huge fan of fall or winter, in general, but there is, however, one, distinct advantage to this time of year. From the time in early fall, when the undergrowth has largely died down, until there’s heavy snow, then again from the time the snow melts until the undergrowth takes over, it’s the best time to look for new ruins in forested areas. In the winter, everything buried under snow. In mid-summer, it can sometimes seem it’s buried just as deep in mosquitoes, and it’s just as hidden with undergrowth. You can still go explore your world, of course, and you should, but time time of year, it can be a little easier to spot new things. 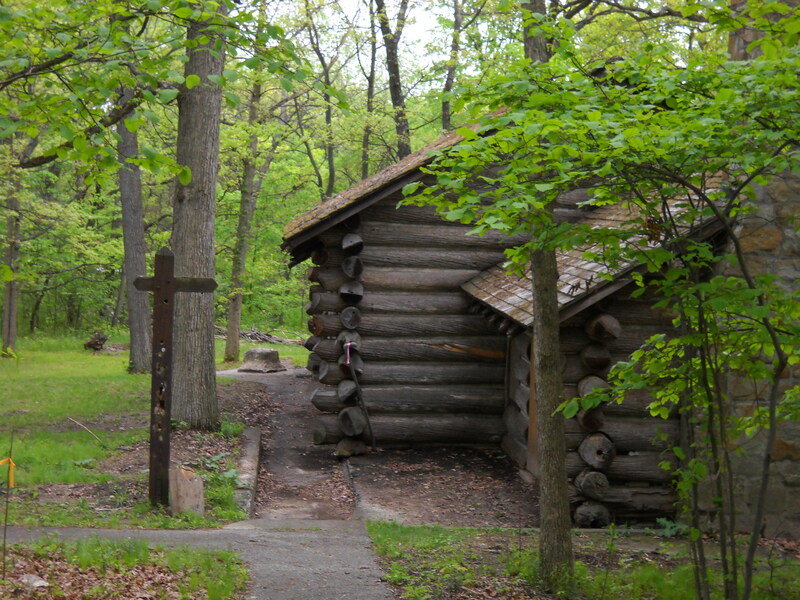 This weekend, while hiking in Ortonville State Recreation Area, some friends and I found this. 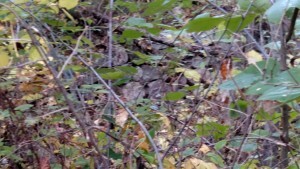 It’s a little hard to see, unless you zoom in, but once you do, you’ll see the remains of a stone basement wall. We found two basements I hadn’t seen before, and part of a car body, too, all in places I’ve repeatedly walked by in spring and summer without even noticing them. And don’t forget, your first chance to see Rediscovering Edsel Ford’s Haven Hill will be on Wednesday at 6pm at Hartland’s Cromaine Library, in downtown Heartland. Following the film, I’ll be answering questions on Haven Hill, archaeology, and filmmaking. I just saw this and realized that everyone needs to see it. Then turn off the computer and go outside. The premier public showing of Rediscovering Edsel Ford’s Haven Hill will be four weeks from tonight, at 6pm, Wednesday, October 21 at the Village Branch of Cromaine Library in Hartland, Michigan. Following the film, there will be time for questions. DVD’s will also be available for sale. This is a free showing, open to all, whether you live in Hartland or not. Preregistration is encouraged, but not required. You can register at the Cromaine Library’s web site. Please note that, even if it says it’s full, you can still come. They just add more chairs. Bet you thought we’d crawled into a cave somewhere and gone into hibernation, it’s been so long since we’ve posted anything. Nope. Not even close. We’ve just been working so hard on our latest project that we haven’t had much of a chance to post on here. Now it’s finally time to show it off! In 1923, Edsel Ford began buying up land an hour northwest of Detroit in what would become his Haven Hill Estate. In the end, he’d own nearly four square miles of forest, farmland, lakes, and wetlands. 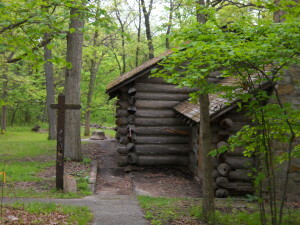 In 1946, a few years after his his death, his wife Eleanor sold the estate to the State of Michigan. The major buildings remained in use, for a time. Eventually, even the remaining builders were abandoned to time and the elements. Between, fire, neglect, decay, and the passing decades, most of the estate was lost and forgotten. In 2009, explorations began with a few friends and, in 2014, Exploration Guides, led by Darrin Fowler, committed to rediscovering and sharing the Haven Hill Estate with the world. 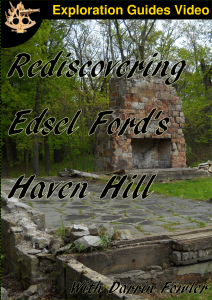 Granted exclusive access to every building and underground space on the estate, and having scoured the grounds looking for any trace of the past, they’ve discovered not only a lot about Edsel Ford’s Haven Hill, but a lot about what happened before and since, too. 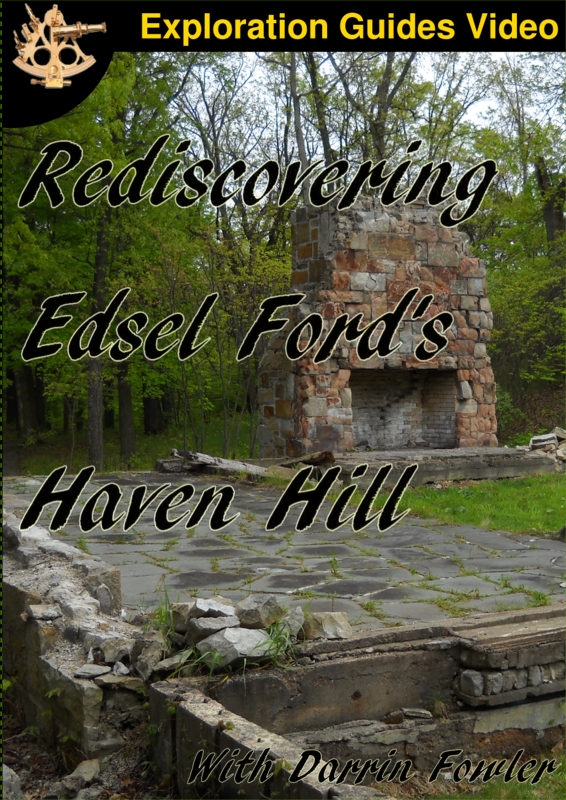 Join Darrin and his team as they Rediscover Edsel Ford’s Haven Hill. We have DVD’s on-hand today, but we’re still not quite set up to sell them on-line. Check back soon for that, and also some sneak peeks.